After you download any Linux distro from the internet, you have to burn it to a DVD, CD or a number of CDs to install it. That CD or DVD is generally used only once after which it lies unused , and worse, almost every Linux distro comes up with a new release every 6 months. So if you are in the habit of upgrading to every new version, you must have dozens of CDs lying at the bottom of your drawer. What a wastage of CDs! But with a little trick you can install any Linux directly from the hard disk without burning a single CD or DVD. The prerequisite of this trick is to have an operating system already installed on your computer. This is obvious because unless you are able to boot into your machine, you can't install anything; and we are not going to boot from the Linux disk because we aren't burning any. Here I'm going to focus on Microsoft Windows as the pre installed operating system. Almost all Linux installers uses two files to boot the computer: a Linux kernel, and an initial root file system containing a minimal set of directories that is mounted prior to when the real root file system is available. This initial root file system is also called Ram disk (initrd). We will use these two files to boot our PC. Now lets get to the actual procedure. 1. The first thing you will have to do is copy the ISO file(s) of the Linux to your hard disk (ofcourse, you already have it). Make sure that the partition is FAT32 unless the distro you are installing has native NTFS read/write support. Some distros require you to copy the ISO file(s) to the root of the partition. If you keep it inside a folder, the setup might not be able to detect it. I have personally tested this with Fedora, Suse and Mandriva and it works without problem. I have no doubt it will work for others too. Reboot and select "Install Linux" from grub. Update: For Ubuntu, see the Official Documentationhttps://help.ubuntu.com/community/BootFromUSB#Using_an_internal_hard_drive. Surely this only applies for a Linux-Windows Dual Boot system? Even then using a rewriteable disc is just as simple? Or, if you're like the avarage computer user you have some old useless box sitting in the closet gathering dust. Install Ubuntu on it, load up tftp, rarpd, dhcpd, vsftpd and and start netbooting your installs. From my experience this usually doesn't work with the now popular Live-CD distrobutions (PCLinuxOS, Ubuntu Desktop). I use a similar method for my Centos installs... and taking CD swapping out of the equation and adding the speed of hard drive data transfer... this method is pretty darn fast. Personally, I favor the CD writing. While I condone the senseless wasting of CD's, CD-RW's I have no problem with. Also, I would think the delay inherent in simultaneously reading and writing to a drive, especially if it isn't very high-speed (7200 rpm or less), would make the process a little more time consuming. However, this method is fantastic for a system with two or more hard drives in it. The data transmission speeds would be much better than even CD to HDD. I definately would try this out. Miller, it's condemn, not condone. Even then, condoning the senseless waste of CD-RWs is silly. And it's spelled 'definitely'. Really helps with credibility. What if you have a Window's Vista partition? Window's Vista creates a boot dir under the root of C:\. I am curious if this Linux install method would have technical difficulties or conflicts with an already occurring Vista boot dir. Get the minimal CD of your distribution and put it on a usb disk. Boot from there and do a netinstall. "almost every Linux distro comes up with a new release every 6 months. So if you are in the habit of upgrading to every new version, you must have dozens of CDs lying at the bottom of your drawer"
Actually, I think most people just upgrade from online repositories. Gentoo, and some other distros rarely put out new releases. Plus, when installing gentoo, you just create a new partition and chroot. Yum (and I'd assume apt-get) let you set the root path to install to. Just about every distro uses net-install these days too. So, if you have room for another root partition, you can usually find a way to install a distribution without even downloading the CD. "Gentoo, and some other distros rarely put out new releases. Plus, when installing gentoo, you just create a new partition and chroot." Yeah, and Gentoo takes 10 hours to install because it compiles everything from source. Would you provide the info for Damn Small Linux and FreeNAS? What name is kernel file and the Ram disk this two distro used? Is it possible have a similar common way to install them from linux? Now download the file called grub4dos from here. Extract the folder "boot" and the file "grldr"
from the downloaded zip file. There is no folder called "boot" in the downloaded zip file. I thought I'd try this out from linux. Please give directions for Xandros. CD drive. For example, the Acer Travelmate C 100 will not boot off an exteral CD for Fedora. So then the only option used to be a network install. This procesdure is much easier. Thank you! @Paul: I don't have Windows Vista installed right now on my system so I have no way of telling. But I think the same can be achieved by adding the entries through BCDEdit. I will see for DamnSmall Linux and let you know. And yup its possible from Linux too. See dougfractal's comment. Wubi is a GUI system for installing ubuntu based systems in windows. Gentoo doesn't really make releases as we know them from Debian, Fedora, etc. The releases only consist of an installation CD, Live CD and stage3 tarballs which you need to install Gentoo. You install a Gentoo installation from scratch only once, after that you never need to download a "release" again (and thus certainly do not need to "spend 10 hours" every time). When connected to the Internet and using Portage you can keep your system up-to-date many years after you made the initial install. Every aspect of the system is reflected in a package, even the base stuff (baselayout package). simply use a rewritable media? If you burn a cdrom for every distro you download, and install from disk only once, that burn is not wasted if you pass the disk on to a friend or stranger. @mtnbluet: Sorry, I couldn't find the files in Xandros. The files on the CD are a bit differnt, not what we typically find on a Linux CD. Though there is one vmlinux but its empty and so is initrd. I presume those get created when the installation process starts. I will give you 3 alternatives. 2. Use a USB drive to boot from it. 3. Xandros allows you to boot from a floppy too. You can use that. for ubuntu, installing from hard drive using grub usually need to download a special kernel file and initrd.img from their website, do you think using kernel file and initrd.img picked out from iso image as your description in this article also work? Its not any special kernel file but the same one present on the disc. It will work. For Ubuntu, you cannot use initrd.gz file extracted from iso file for hard drive installation, that's why Ubuntu provide a special initrd.gz for user's download. The kernel file is same. There used to be a utility 'loadlin' which came with redhat in old times. maybe it can be used instread of grub. I've tried this to install Linux Mint from harddisk. Are you sure the file /boot/grub/menu.lst is actually there? Have you placed grldr on c:\? Or maybe it just not work on Linux Mint? Thanks for the valuable inputs. Indeed, this method has a much higher potential. Does Grub4Dos ver 0.4.2 not work? I didn't know that. Actually, I tried this stuff almost a year ago. Probably the version I used then was 0.4.1. I have been using that ever since. I'm amazed that I missed this. Thanks for pointing out the obvious (in a good way) for me, this is just what I've been looking for. On a related note: Are you sure it works on openSUSE? It keeps track of package repositories on the CDs using their labels, and... Well, there's always the network install, but what if you want to install it right off the image? It shouldn't work, but if you say you've tested it, I'll take your word for it. I have always used "upgrade" from my ubuntu box. Eats up some bandwith and my valuable time. This is a great alternate you have giver here. Thanks for sharing with all of us. how i should write path to file in the grub? my suse cdimage (su.iso) is on C:\ disk. i have tried to put iso file on fat32 partition, tried to extract whole iso in folder and that did not helped. Hi, Its a great Guide... Thanks. and also I Tried to add the entry "C:\grldr="Start Linux", with the bcdedit.exe but avail no result ... it says ".../Windows/system32/hal.dll missing"
how to do it with free bsd? bsd? I do not agree with! You can not do this with the Gentoo distro! the "/boot" folder is no longer available from grub4dos 0.4.2 and up. update of this guide would be appreciated ... I will use the old G4D, probably works fine, thanks! Guide updated with working links. Thanks for that. I didn't have time and the iso files of all the distros to test it. at boot select "setup ubuntu"
in a few lines but then just freezes with the cursor flashing - is this part suppost to take a while or has something gone wrong? Any ideas? forgive me im reading my atrocious writing, some 0s may be os, 1s may be ls or Is and es may be cs but the rest it what im getting defo. this remains on screen but all i get is a cursor flashing underneath and nothing else happens! help, please i've been trying to get this installed for ages!! Iam intending to use Fedora7-i386 DVD iso which i have placed both in the root of on my windows C drive and the F drive which i want to install linux onto. I have just converted both these from NTFS to FAT32 using partion magic. But I haven't even been asked where the source file is and where i want to instll linux, it's just frozen at the point I mentioned. I thought i had done everything correctly - i extracted both those files into c:\boot, extracted that other one into c:, extracted the grub folder from within the boot dir in the zip into the boot dir in c, edited the menu.lst, then edited the boot.ini. The first thing is: you can't install linux on your F drive. Linux can't be installed on FAT32 or NTFS. It has it's own file system. To install linux you need to have free space on your hard disk - space free of any partition. During installation process you should "tell" the setup program to use the free space. If you don't have much experience about installing linux, you could try installing it inside a virtual machine. Search on Google. Regarding to your actual problem, I don't remember exactly whether it shows such information. Usually, as soon as you choose "Install Linux", it displays some mesage like "kernel found" and then "uncompressing kernel image" etc. After a few more messages (different files loading etc), the graphical interface takes over. Check whether the files vmlinuz and initrd.img are inside c:\boot. If you want to do this for a system running Windows Me. Here is what worked for me. follow the steps mentioned earlier - of copying Grub and menu.lst to C: . You will be on your way to booting from the distro on the hard disk. the following tutorial for grub is very useful. In my case - Ubuntu7.10 could not recognize my hard disk - (my systems is a Dell Inspiron 8100), so I had to switch to Fedora. Thanks for your tutorial! It was AWESOME and did exactly what I needed. Now I have PCLinuxOS installed dual-boot with WinXP on my Toshiba R100. Suspend to disk works with PCLOS, and the recent updates to PCLOS's printer databases have allowed me to enable my Canon Pixus i560, i4200, and network Brother MFC-7820N. PS - For anyone who is interested, I didn't reformat my drive with a FAT32 partition for the ISO file before installing. I un-archived the .iso files and saved them on a USB card reader (1Gb SD card). So, I suppose I could easily use this same technique for install to a USB memory stick. I'm happy to learn that my tutorial worked for you. And yes, most new linux distros has inbuilt NTFS support and can be booted from the USB drive too. and what does the distro refer to? C:\ refers to the c drive of your hard disk. Since you have Windows installed on your second HDD, you will have to copy kernel, ramdisk, grub etc files to the second HDD. (hd0,0) will change to (hd1,0) assuming the 2nd HDD is assigned 2nd in the BIOS configuration. I own an obsolete ThinkPad 560x laptop without CD or FDD. I find your method perfect for giving a new life to my old IBM. But I realized I have no boot.ini file on my system (Win98SE). How to proceede then? This won't work with Win98. Win98 doesn't have boot.ini file or any boot manager. Since both the CD drive and the FDD are broken, the only option you have got is to install Windows XP or Linux from a USB drive, provided the BIOS supports booting from USB. Another way is to use network install. If you can network your laptop to a PC, you can install any OS into your laptop. Could I boot grub from my USB device and how ??? Problem: I don't see list of options when I'm starting GRUB which is allocated on ntfs C: partition. ^^ We aren't using Grub to boot the PC. The PC is booted using Windows bootloader. After the windows is booted the control is transfered to grub to load the Linux installer. So this process will work only if you have some mechanism to boot your PC - either through Windows or Linux or even an USB drive provided that you have the proper booting files on the USB drive. You are right. I use Windows XP SP2. But I was interesting how could I load grub from USB. And why data from menu.lst are not displayed when I load grub from ntfs ? You can load grub from USB. Copy all the grub files on to the USB stick and add the line to the boot.ini file. If you are unable to load GRUB from ntfs partition then maybe the distro you are trying doesn't have NTFS support. In that case you have use Fat32. What shoud I write in C:\boot.ini in case of USB ? I can't convert my NTFS file system to FAT32. Find out what letter Windows assign to the USB drive by plugging it to your PC. Then replace "C" in C:\grldr=”Start GRUB” with the drive letter. You should have GRUB on the USB drive. Since the linux you are trying can't recognize ntfs you will need to have atleast one fat32 partition where you should place the iso file. There is no way to convert ntfs to fat32 without reformatting. Had you tried it ? I've tried change letter C: and it didn't work. Grub even didn't load. Probably I should write smth like "sd(0)..." or "hd(1).." (because it is SATA HDD, connected via USB). I don't know. Windows does not allow converting ntfs to fat32 natively. But of course, there are tools like Partition Magic that can do that and even resizing and merging of partitions without losing data. But there is a risk factor involved and if the process fails all your data will be lost. Even Partition Magic displays this disclaimer. I wouldn't advise you to do that because there is a high chance of screwing up your data. For your main problem, does your BIOS support booting from USB? First find that out. And names such hda, hd0 are for linux. the grub should be loaded by boot.ini file which does not recognise such names. You have to give the usual windows letter names. Thanks, I've tried it. But it doesn't work :(((. My BIOS supports booting from USB. I couldn't do something with my main HDD because it is on my workplace. I don't want to damage my Windows XP system too. I'll try smth else. the only difference is the version of grub4dos.. I am using grub4dos v0.4.3 right now.. I just rename the grub4dos folder to grub because i can't find the grub folder which you mentioned above..
so, about this new version, what should i do? I am really looking forward your help..
how to deal with the command line interface which starts up when one chooses start GRUB as the choice for installing LINUX? What commands are used for installation? What happens if you want to partition the whole drive? I tried using this to install Minime PCLinuxOS 2008. I got to the windows boot part, but when I go to GRUB, it says "missing MBR-helper." I did all steps and the grub started. I selected the "Install Linux". then the ubuntu installer started. I finished the region and keyboard selection. next, it asks for the ubuntu image from my cd rom. The option there only has install from cd rom (I think so). and since my ubuntu iso is not in cdrom, I have to abort the installation. It gave an option to run the ash shell. but I did not know what to do from there. Note: this is for an *Ubuntu live-cd. For other distributions, your grub entry may be different, depending on where vmlinuz and initrd.gz are located. Also note that "root" will depend on what your fakecd partition is. Mine's /dev/sda2, hence (hd0,1). Now when you reboot, select Install Linux and it'll be exactly like running it off the CD, except a fair bit faster since you're reading from the HD. :Failed to detect CD drive ! I have grub's menu.lst editted correctly. Tried it with the iso fully extracted, as well as only linux and initrd extracted + full iso file copied to my dedicated 1.3 Gb drive for HDD version of LiveCD. The only distro that successfully works so far is PCLOS. @Dulwithe: Why does the installation try to detect the CD drive? Are you sure you haven't mixed up the paths of the CD drive and the hard drive? You should not extract the ISO file but copy it intact to the hard drive. And are you trying to install linux from a live CD? I'm not sure whether that is possible. Thanks for your response, Kaushik. I don't know why certain distros crash with the same type of hdd "LiveCD" method. I've tried extracting just the kernel and RAM disk files, and put them with the ISO file on the "LiveCD" partition. I have had mixed results. I got Mepis to work yesterday. Some distros don't work with this method, others do. I have NO idea why. My guess with the SUSE distro is that its kernel or RAM disk is directed to look exactly for a cd drive and boot from there. If no cd drive is found, "reboot in 120 sec..." Apparently suse 10 worked this way, but suse 11 doesn't (but I don't want to try and install a year-old distro). Ubuntu 8.04 making some partitions and keeping other space free for XP. But when I am installing XP from the bootable CD it says hard disk not found. Please help me how to get rid of this problem. If Winxp can't detect your hard drive, then you will have to boot from a Win98 CD. If you don't have the Win98 disk then download the boot disk image from here and burn it to a CD. This will rewrite the MBR and you can now load windows. After you have finished installing WinXP, install ubuntu's bootloader to dual boot WinXP and Ubuntu.
" I got “directories ignored” error message. I thought that may be 'coz of root security and I manually copied the total iso files in to 750MB new partion. Then I rebooted my system and got into ubuntu installation and I found the same error "mount CD failed. no device exist". Then I opted for command line. I found "cdrom" folder in '/' directory, and I thought it is place where cd drive is mounted and I mounted my 750MB drive to '/cdrom' and tried to install. Now, our 750MB drive works as a CD drive. Happy to get what we desire, but when I format swap partion it shows "device is use" error message. And here i got struck. And I also found that 750MB drive must be ext3/ext2/cdfs file system type. 'coz at the time of installation kernel cant mount a FAT file system. Basically the idea is to get all the files into the fakecd partition. Is it possible to for me to install Linux on Extended partition ? I am going to install Linux Mint on Extended partition. What is the correct entry for Step 5, that is when i am going to edit the menu.LST ? PS: I have one hard drive and i have installed Win XP in primary partition and i have 4 logical drives in extended partition. @mldarshana: You can install Linux in the extended partition. No problem with that. I have always used the extended partition for linux. Make sure you use the correct file names. *The other hd (dev/hdc1) is empty and here is where I plan to install Linux (gentoo).
! !Could not mount specified ROOT, try again. Any suggestions about what I have missed? I have copied disk image image.nrg to partion 'H' having fat32 file system and and my 'C' drive is having ntfs file system which is used by windows operating system. also the grub. Also added the lines with exact replacement to menu.lst under the grub. You can't use .nrg format. You need ISO file. Convert it to ISO. how to convert nrg to iso format ????? how to resolve this error...any suggerstion??? how to resolve this error...any suggestion ??? I don't believe that the author has ever sucessfully pulled this off. that allows that i think.. The chown command gives a missing operand error. I'm sure it's something obvious,but I'll be damned if I can find it. Might have something to do with Slackware 12.1. Maybe it has something to do with the boot process being able to read or write to that directory during installation? After I downloaded and copied the two files, I was already set as the owner so I didn't have to touch the permission of those files. After configuring the keyboard, the installation fails to find the ISO image. I was delighted to find an option that reads something like "Scan hard drives for installer ISO image", but I was disappointed to see that it always fails to find it. I moved the ISO from /distro to /boot to /media/sda1 (Windows partition), all to no avail. did all steps and the grub started. I selected the "Install Linux". kernel panic , no init found . Thanks Kaushik ! for this wonderful article. But need some more help from u.
I'm a newbie for Linux. I have single OS, win XP media center installed on 4th partition(F:,NTFS). Then i updated boot.ini from control panel. When i rebooted the system, i selected the 'tart Grub' option. But then after it shows the error "hal.dll missing or corrupt". I'm not getting what had gone wrong ? Please tell me whr i may have made a mistake. This is great. Just what I was looking for to install Debian on some old laps without CD, floppy or USB boot capabilities, but with Windows. It worked very fine. It avoided me the necessity of creating a net install server, and the waste of installing everything from Internet for all laps with netbootin. I can't get this to work. Is there something I am doing wrong or is it just that this is just crap. Somebody help! can somone please help as what would be going wrong..? "Unetbootin" is a simple open source tool that allows you to install a variety of distributions over the Internet, without burning a CD. The "Wubi" tool for installing Ubuntu this way has been around for a while, but unlike UNetbootin, Wubi installs Ubuntu on a file stored in a Windows environment and creates no actual partitions. UNetbootin will create a partitioned dual-boot system as though you installed with a CD. It's useful if you're working on a machine with a slow or no CD/DVD drive or don't have any spare discs to burn. Hi, idon't know what to say imazing tutorial. i have this error after Time: acpi_pm clocksource has been installed. ALERT! /dev/rd/0 does not exist. Dropping to a shell! That's it :( are anyone can help me ? It won't find the iso file. I'm trying to install xubuntu 9.04. I have copied its iso file into root and /boot, still no luck. It scans the hard drives, but fails to find the iso file. I hv XP installed & installing Fedora 11.
when i choose anyone of them or enter full image file name with extension in Directory option it says image file (*.iso) not found. Why is it not finding image file? What to do? Can't install ubuntu 9.04 following this method. Trying to install Mandriva 2009.1 over XP on Eee 1005HA.. I am trying to install linux on a small server on a local network. The server will work as a NAS, does not have any keyboard or monitor or USB or DVD/CD reader, but it is connected to the local network. All the other computers are laptops so I do not have monitors and so on. How can I install using network install? I have never done network install, much less on a PC without keyboard and mouse. 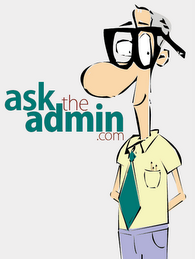 You have to ask a Linux system admin. Try asking for help at some Linux forum. To the other people who are facing trouble with Fedora 11 and Mandriva, I'm not sure because I have not tested whether this procedure holds true for newer distros. Just make sure you are following the steps correctly. It should work. For Ubuntu 8.04 extract /casper/vmlinuz and /casper/initrd.gz from the ISO file. The files should be the same for later versions of Ubuntu. Hi, I want to install a Slackware derived distribution in a laptop without USB nor CD. It has a blank HDD, without any OS. I'll try to connect the HDD as an slave in a winxp PC, in order to properly format different partitions for a full Linux installation. Does anybody have any idea to achieve this difficult installation? I'll make the blank HDD a boot disk, and try to obtain a result. Does this work for Puppy linux? I haven't tried this on Puppy Linux but I can't see why it wouldn't work. You just need to identify the vmlinuz and initrd.img files (could be differently named) and the rest is the same. Is it possible to have diskless installation on Windows 98 PC? This is something I am looking for a looong time... my old think pad that has no cd and bootable usb support will ne soooo glad about it!! I have a Windows ME laptop and after doing most of these steps I learned that it doesn't have a boot.ini file. What can I do? Really wonderful, Kaushik. It really worked well for me in the first try itself. You post was really helpful and hope it would be the same for all others too. ALERT! does not exist. Dropping to shell! @blaze and @yog: This type of things are difficult to troubleshoot without knowing what's exactly happening. You should go to the distro's support forum and ask your questions. thank you!!! i have been looking for this and you explained so clearly... i have a toshiba portege 7020ct with no cd/floppy/usb bootable. does not work....i follow the direction and still black screen...need help..
Hi, i tried this but when i reboot it says cant mount the selected partition what should i do? This tips is very useful. But it works upto Fedora 8. Not upper version.Kaushik, i have a wireless internet connection. It run in windows xp. But not fedora 8. my wireless adapter is TP-LINK 11b/g.Fedora 8 does not recognize it. I tried installing ndiswrapper rpm packages. But it shows fails dependency and want ndiswrapper-kmod-common-1.48 when try to install ndiswrapper-kmod. But i did not find ndiswrapper-kmod-common-1.48 in the net. Would you pls help me giving suggestion how i can run internet in Fedora 8. When I attempt to enter the path of the .iso file for openSUSE 11.2 it says that it cannot find the repository. I have the .iso file at the root of sda1 and tried the partition sda5 but neither have worked, any help appreciated. Failed to mount iso:///?iso=openSUSE-11.2-DVD-i586.iso & url=hd:/OpenSuse?device=dev/sda1 on: Unable to find iso filename on source media. Any Idea how I could do that on windows 7? I am trying to install the latest Ubuntu (11.04) on an old Dell laptop that does not have an optical drive and cannot load from USB. I have gotten as far as step 7, but when I hit Start GRUB, I get the message "Windows/system32/hal.dll missing or corrupt." I am wondering if this is because I have Windows on D:? Should I have copied the files to D: and pointed to hd0,1 in step5? Was having trouble installing Ubuntu using this approach. Problem is the ubuntu CD tries to automatically find the CD, and there appears to be no way to tell it to look for an image on the hard disk. Obviously you'll need to change the IP address and paths to work with your local setup, but this worked for me. is it working for fedora 15 ? CAUTION - since the fellow who talked about installing FROM LINUX caught a little error he made that did NOT make its way into the main text, who knows how reliable all this is?! I don't mind - well, maybe I *do* - wasting hours and hours because intelligent and basically caring individuals do NOT care enough to test things before disseminating them.... And who knows whether the advice relating to 4-year ago distros still holds? I'm not ungrateful, but it would be GREAT if somebody confirmed this or that way above ... Otherwise, use at extreme risk of significant waste-of-time! @Ed Townes: This is reliable, but since I haven't tested it on newer distributions I have no idea whether this method is still applicable. I will try to test it on recent distributions as soon as I can get my hands on them. About not including some workaround that a commenter posted on the main article, I can't do that without testing it myself. Users are employing all sorts of hacks and tweaks to make this work on the newer distors. But like I said, I will try to update this. Hello and thanks @Kaushik for this step-by-step explanaton. I am trying to install Lubuntu 11.10 on an old Sony Vaio - no cd, no floppy, cannot boot from USB. Is there some command I can run at this initramfs prompt to continue on to the actual booting/install process? It says type 'help' to get list of commands. you will have to change the paths to the correct paths for the files. Totoaly usless because i don't have windows!! After line 2 (starting linux) the system attempts to run but fails and then recycles to GRUB2. not sure where to go from here without further knowledge ....any clues?? There is an install.img file under directory images on the DVD maybe this is the answer. what do I use for the boot parameter? Is it possible to do this on Windows 7? There isn't a boot.ini file in windows 7, so is there an alternative file that I can edit? Yes, it is possible to do this from Windows7. What really doesn’t make sense here, is where the distro gets its install files from. They normally get them from filesystem.squashfs, but there is no step that extracts this, and AFAIK, they can't automatically find it in the iso. I have a message when I run GRUB, it says "grldr is compressed" and I can't do a thing. They try hd0,0; hd1,0, hd2,0... until 5 and then it stucks. Anybody know why?